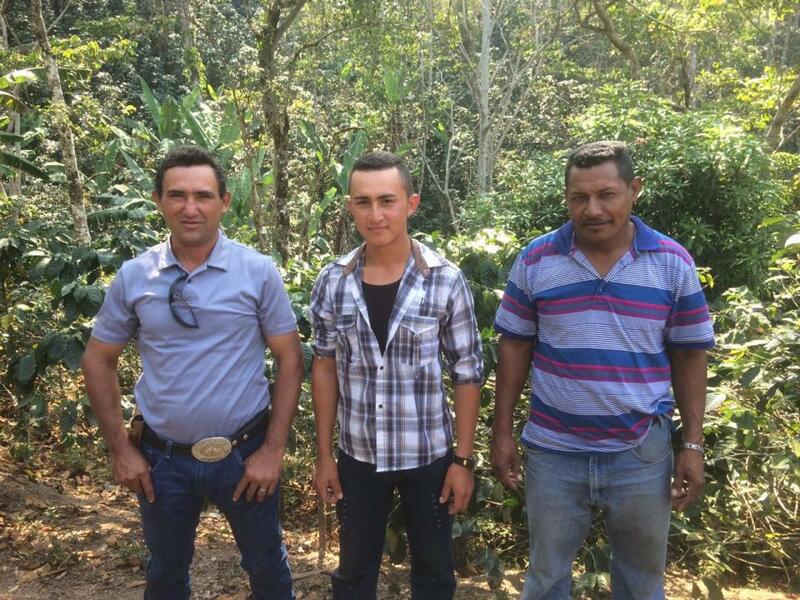 A loan of $2,825 helped a member to purchase supplies and fertilizers to treat his coffee crop. Santos is 46 years old. He is in a common-law relationship with his partner. He has three children. He lives with his wife and his three children in the municipality of Morazan, Yoro. He has always worked in agriculture, growing corn and coffee. For eight years now, he has had his own coffee crop, which he sells at the local market. He is requesting his second loan, as part of a group, to purchase supplies and fertilizers to treat his coffee crop. His plan is to give his crop a good treatment in order to obtain better production. His goals are to continue improving his coffee crop, to support his children, and to give his family a better quality of life. Santos belongs to the group called G.S. El Mango, which is made up of three members. All of them live in the same community and work in agriculture. The group loan is for 66,000 lempira, which they will invest in the purchase of compost, fertilizers, and supplies for their coffee crop. In the photo, they appear as follows: Dimas is on the left and then Fredy and Santos to the right. Don Santos, tiene 46 años de edad, vive en unión libre con su pareja, tiene tres hijos y vive con esposa y sus tres hijos en el municipio de Morazán, Yoro. Él siempre se ha dedicado a la agricultura con la producción de maíz y café. Actualmente tiene más de 8 años de tener su propio cultivo de café el que vende en el mercado local. Solicita su segundo préstamo en forma grupal para comprar insumos y fertilizantes para asistir su cultivo de café. Su plan es darle a su cultivo una buena asistencia y así obtener una mejor producción. Sus metas son continuar mejorando su cultivo de café, apoyar a sus hijos y darle una mejor calidad de vida a su familia. Santos pertenece al grupo llamado G.S. El Mango, que está formado por 3 miembros, todos viven en la misma comunidad y se dedican a la agricultura. El préstamo grupal es por 66,000 Lempiras que los invertirán en la compra de abonos, fertilizantes e insumos para su cultivo de café. En la foto se identifican así: a la izquierda Dimas, Fredy y Santos a la derecha.